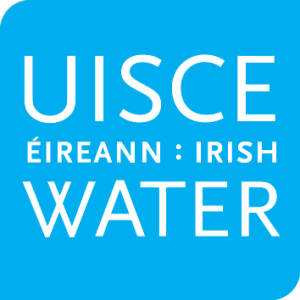 Irish Water and Cork County Council plan to carry out essential repair works to a leaking joint on the trunk watermain from Chetwynd Reservoir to Carr’s Hill Reservoir, during April 4th and 5th next. This will help ensure a more reliable and secure for customers in the area into the future. The works are located adjacent to Shamrock Lawn, Donnybrook Hill, Douglas, Cork. This 1,200mm precast concrete trunk main supplies both the Carr’s Hill Reservoir and the Strawhall Reservoir, and conveys drinking water to the Cork harbour and south Cork city areas. A temporary repair was undertaken in February 2015 when the leak initially became apparent. It is now proposed to carry out a permanent repair on the watermain in order to enhance the security and reliability of the water supply to the area. We will be managing this essential work to minimise any disruption to the water supply but some customers in areas of Ballycureen, Frankfield, Mahon, Grange, Donnybrook, Rochestown, Mount Oval and Clarkes Hill may notice some temporary discolouration of their water. Irish Water would like to apologise in advance for any inconvenience this may cause to customers. While this work is being carried out we are asking customers on the public water network in these areas to conserve water as much as possible. Regular updates will be posted to the Service and Supply section of the Irish Water website, www.water.ie and customers with queries or concerns can contact the 24/7 customer care line at 1850 278 278.